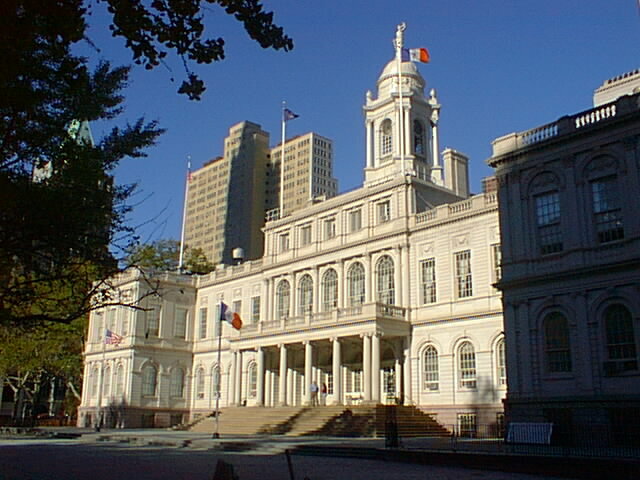 Historically, this is where most New York City legislation gets decided. It's the mayor's office. It's also the spot where General George Washington read the Declaration of Independence to the Army on July 9, 1776. Currently, Mayor Guiliani reads praises to the New York Yankees, who seem to make this an annual visit.